Vitreoretinal eye surgery includes a group of procedures performed deep inside the eye's interior with lasers or conventional surgical instruments. and light-sensitive membrane (retina) are found. General ophthalmologists, other ophthalmologist sub-specialists and optometrists usually refer patients in need of vitreoretinal management to a specialist. This type of specialist trains first as a general ophthalmologist and subsequently specializes in the medical and surgical management of vitreoretinal disorders. 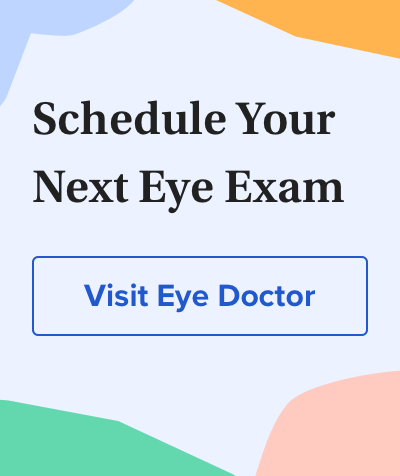 A vitreoretinal specialist performs nearly all of the surgical procedures listed here, although general ophthalmologists and other ophthalmologist sub-specialists commonly handle procedures involving lasers. Procedures mentioned here are the more common of many surgical approaches to specific conditions requiring vitreoretinal surgery. A vitrectomy procedure removes the vitreous humor or gel-like substance in the eye. This approach can address vision problems caused when foreign matter invades this usually pristine area of the eye's interior. One example of foreign matter is blood, from conditions such as diabetic vitreous hemorrhage. Light rays passing through the eye cause the foreign matter to cast shadows on the retina, resulting in distorted or greatly reduced vision. A vitrectomy can restore vision in diabetic retinopathy by removing the natural vitreous that has become clouded by leaking blood vessels and replacing it with clear fluid. Once the surgeon removes the vitreous humor and clears the area, he or she usually injects a saline liquid to replace the vitreous humor that ordinarily fills up the inner chambers of the eye. However, a vitrectomy is considered inappropriate and extreme for addressing most ordinary spots and floaters that occur with vitreous detachments affecting almost everyone to some degree as they grow older. Usually vitrectomies require general anesthesia. However, local anesthesia is used in certain situations, especially when general anesthesia would be inappropriate, such as for people with breathing problems. Your surgeon will make three tiny incisions in the eye to create openings for the various instruments that will be inserted to complete the vitrectomy. Light pipe, which serves as a microscopic, high-intensity flashlight for use within the eye. Infusion port, used to replace fluid in the eye with a saline solution and to maintain proper eye pressure. Vitrector, or cutting device, that removes the eye's vitreous gel in a slow, controlled fashion. It protects the delicate retina by reducing traction while the vitreous humor is removed. Because so many variables are involved, only your eye surgeon familiar with your condition can give you a realistic idea of what to expect following a vitrectomy. But the underlying reason for the procedure usually is a major factor in determining how fast you will recover as well as the ultimate outcome. After a procedure, you likely will use antibiotic eye drops for about the first week and anti-inflammatory eye drop medications for several weeks. Follow your surgeon's advice carefully. In general, don't expect to know your final visual outcome for at least a few weeks. Again, your surgeon or attending ophthalmologist will be the best judge of your individual recovery. Vitrectomies have a very high success rate. Bleeding, infection, progression of cataract and retinal detachment are potential problems, but these complications are relatively unusual. For most patients who undergo a vitrectomy, sight is restored or significantly improved. The procedure is a marvel of modern medicine for people with conditions that might be blinding otherwise. Epiretinal membrane (ERM), also known as macular pucker and cellophane retinopathy, involves growth of a membrane similar to scar tissue across the macula. This type of growth interferes with central vision by shrinking or contracting, which distorts the central retina. If you have this condition, you likely will see straight objects appearing wavy and crooked. Also, you could experience reduced central vision, depending on the condition's severity. Epiretinal membranes may be associated with other eye conditions, but the cause of most ERMs is unknown. Some disorders occasionally associated with ERMs include previous retinal detachments and related surgery, inflammatory conditions (uveitis), retinal tears, branch retinal vein occlusion (BRVO) and central retinal vein occlusion (CRVO). An epiretinal membrane clearly is present. You experience problems such as vision distortions or substantially reduced vision due to ERM. Your surgeon will help you decide if an epiretinal membrane peeling procedure is appropriate for you. But the decision will depend on the extent of preoperative vision loss and distortions. The ERM peeling procedure begins with a vitrectomy. , under high magnification, to grasp and gently peel away the membrane from the retina. Diamond-dusted instruments may be used also to help remove the membrane. Precision is key, because this procedure may very well be the most delicate operation that's performed on the human eye. Usually a few tiny sutures are used to close the incisions in the eye; generally these don't require removal later. After the ERM stripping, vision should improve gradually, though it may take up to three to six months for the best visual results. Studies show that about 80 to 90 percent of patients will experience visual improvement after the surgery. But due to potential permanent retinal damage following the ERM, some patients' vision will not improve. Potential complications of epiretinal membrane peeling include infection, bleeding, retinal detachment and cataract progression. Recurrence of the ERM takes place in about 10 percent of patients following the initial surgery. retinal detachment associated with a retinal hole or break. A confirmed diagnosis of PVR may mean that you need surgery. PVR is the growth of cellular membranes within the vitreous cavity and on the front and back surfaces of the retina. These membranes are essentially scar tissues that exert traction on the retina, possibly causing recurrences of retinal detachment even after an initially successful reattachment procedure. PVR may be associated with spontaneous reopening of otherwise successfully treated retinal breaks and may even cause new retinal breaks to develop. Because of the contracting membranes, PVR also may be associated with severe distortion and "stiffness" of the retina. This can produce disappointing vision, despite the very best management of the condition. A pars plana vitrectomy, to remove the gel-like vitreous humor. A membrane peeling procedure, in which the contracting membranes on the retinal surface are carefully stripped away. Following the vitrectomy, the surgeon usually instills special gases or fluids into the eye to help flatten the retina and keep it reattached to the outer wall of the eye. If gases are instilled in the eye, stabilizing the head following surgery may be necessary for days or even weeks to help keep the retina attached. If silicone fluid is placed in the eye to help maintain the retina in the attached position, it must eventually be removed from the eye in most cases. Additionally, a scleral buckling procedure may be needed. Material such as plastic is sewn onto the outside white of the eye (sclera) to exert continuous pressure. This pressure reaches the interior, where the retinal tear may be pushed into place to relieve traction and help repair the damaged area. Laser treatment also may be needed to help close retinal breaks. Recovery of vision after surgery for PVR may take many months. About half of patients will regain some useful vision in the affected eye. But the level of vision regained often is called "ambulatory vision," meaning vision good enough to see large objects at close range. This enables the basic ability to move around in a familiar environment. But the likelihood of regaining vision good enough for reading is quite low. After a PVR procedure, a low vision specialist can assist you with counseling and recommend devices with special lighting to help you see better.